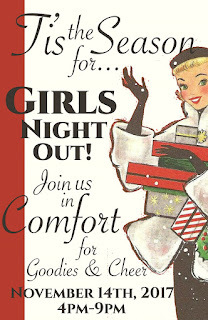 The Girls Night Out Merchant Group is an informal organization made up of businesses in the Comfort Historic District and vicinity. 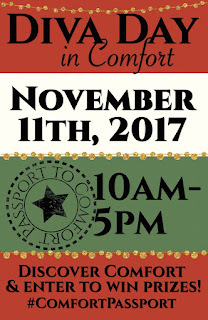 The Group works together to plan and hold events designed to welcome visitors to the beautiful town of Comfort Texas. Comfort, known as “An Antique Town”, is located approximately 35 miles west of San Antonio Texas. The town itself offers much more than antiques for visitors to enjoy. From award winning restaurants and bed and breakfasts to a variety of shops, there is something for most anyone seeking to get away from the hustle and bustle of the city.